The Fischer and Becker Defences - Chess Gambits- Harking back to the 19th century! The appropriately-named Fischer Defence was Bobby Fischer's idea to improve on the main line with 3...g5, avoiding the Kieseritzky Gambit (4.h4 g4 5.Ne5), which appears to be fully sound, albeit capable of leading to rather level situations. Black will follow up with 4...g5, and with the e5-square covered by the d6-pawn, after the g5-pawn moves to g4, White's knight on f3 cannot go to e5, so has to find another square. The traditional main line of this variation runs 4.d4 g5 5.h4 g4 6.Ng1, but I think White ends up with too little development to provide enough compensation for the pawn here. White can instead head for a Hanstein Gambit with 4.Bc4 followed by d4 and 0-0, whereupon Black must find 4...h6! intending 5...g5 in order to steer play into that variation (instead 4...g5?! 5.h4 is awkward for Black to meet here). 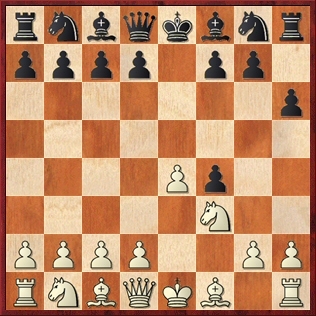 But White's best option is probably to continue as per the Quaade Gambit, with 4.d4 g5 and then 5.Nc3, intending 6.g3. There is an interesting analysis of this at "Brabo"'s chess blog which is worth examining, and I agree with him that 5...h6 may well be Black's most challenging response. Then following 6.g3, Black can consider taking on g3 (6...fxg3 7.fxg3) or playing the interesting 6...Bd7! ?, intending 7.fxg4 g4, though here White can consider a piece sacrifice with 8.Be3, while alternatively White can change plans with 7.Bc4 followed by 0-0. This line appears to lead to murky and dynamically equal positions that should offer both sides good scope to play for a win. A variation on Fischer's idea, 3...h6 intends to continue with 4...g5, but by increasing Black's control over the g5-square, Black also develops additional options against approaches with h2-h4, rather than being forced into pushing with ...g5-g4. For example, 4.d4 g5 5.h4 can be met by 5...Bg7 intending 6.hxg5 hxg5 7.Rxh8 Bxh8, which is very acceptable for Black. White has a sneaky move in 4.b3! ?, intending to discourage ...g7-g5 and follow up with Bb2, Nc3, Qe2 and 0-0-0 with attacking chances, but Black does well to strike out in the centre with 4...d5 or 4...Nf6, which leaves White struggling to maintain the balance. 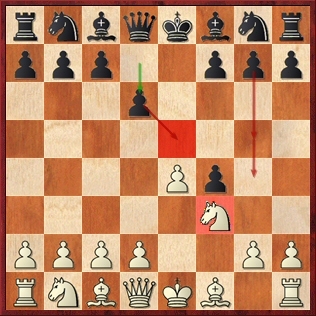 Alternatively 4.Bc4 g5 will again tend to lead to a Hanstein Gambit. With best play this variation probably leads to the same line examined in the Chess-Brabo blog: 4.d4 g5 5.Nc3 d6 6.g3. Other fifth moves for Black tend to lead to favourable positions for White.